Manufacturer of a wide range of products which include low flow rotameter, low flow glass rotameter, low flow rotameter for gas industry, low flow rotameter for air pollution, rotameter and purge rotameter. In our broad assortment of products, we are manufacturing and supplying a qualitative gamut of Low Flow Rotameter. Suitable for measurement of low flow rate of liquid / gases, offered rota meter is offered to the customers in broad quantity after examine on predefined guidelines of the market. Our offered Rota meter is manufactured using top quality material & available in various sizes, shapes and model. In addition to this, offered Rota meter can be availed in various technical stipulations and customized options. 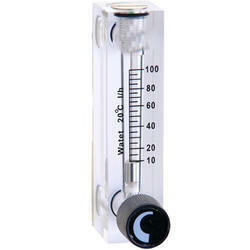 we are leading manufacturer of low flow glass rotameter. 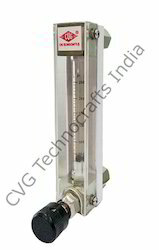 we are leading manufacturer of low flow rotameter for gas industry. We are leading manufacturer of low flow rotameter for air pollution. We are leading manufacturer of Acrylic Body Rotameter. we are leading manufacturer of purge rotameter.